The North American Free Trade Agreement (NAFTA) was negotiated among the United States, Mexico, and Canada and came into effect on January 1, 1994. It provides for the elimination of tariffs on most goods originating in the three countries over a maximum transition period of 15 years. 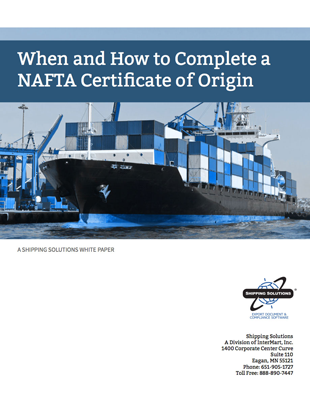 When and how to complete a NAFTA COO properly for your next shipment.